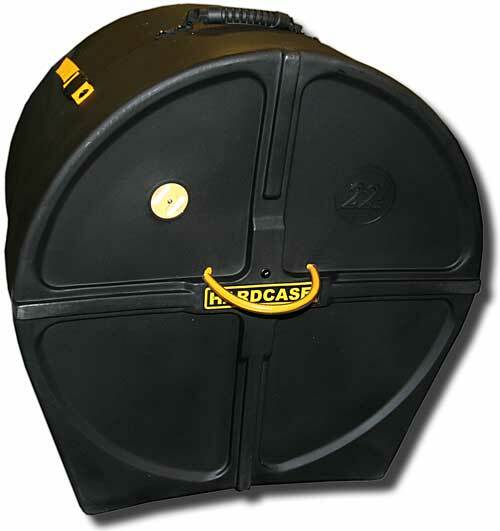 Hardcase 22in bass drum case, holds bass drums between 18in and 24in in depth. Heavy? Yes, slightly, but tough. Yes, they might not be feather light, but if you value your gear, especially when other less careful types are chucking your stuff into a van or dragging it down a staircase, then these do the job. My only quibble is that they are a bit oversized.